Over the past number of weeks we’ve looked at different aspects of the Ontario wine industry and how in 2015 the industry truly is at a crossroads – be it privatization, grape pricing, the need for better cartography … today we’ll talk about another aspect of the industry that I’m sure many a winery has thought about, but still many do nothing about: Specialization – namely: you have to be known for something. If you think of all the wineries in Ontario that you can specifically remember for something, be it a grape variety they do well, limited or small lot wines, or something that makes them special, I bet you could number those wineries on both your hands and still have a few digits left over to count your memorable bottles. Problem is, most wineries are afraid to limit their market by specializing in only one, or a few, grapes … the more wines you make the more likely you are to be something for everyone – it’s the shotgun approach to winemaking/marketing, as opposed to the rifle effect: a single well placed shot. I’m not saying that each winery should pick one grape and make that exclusively, we’d be stuck with a very monochromatic wine industry … what I am saying is that you have to be known for something, or else, when it comes to the map we discussed last time, you’re just another name on the page. Let’s take a couple of wineries for example. In Prince Edward County (PEC) there’s a place called Hinterland – their specialty is sparkling wine, sure they’ve made a few still wines in their day, but sparkling wine is their bread and butter – and it’s what they are known for and do best. Niagara has a number of wineries in similar situations: Henry of Pelham has made a name for themselves with Baco Noir – yes they make all kinds of other wine, but Baco seems to be their calling card. Cave Spring is a Riesling house, they have 7 or 8 different styles on the tasting menu every given year. Thirty Bench is also known for its Riesling program, making single vineyard as well as a blended vineyard version. Vineland does Riesling as well, but they are also a Cabernet Franc specialist, and as of later the only winery making a single varietal Pinot Meunier (red), which compares favourably to Pinot and Gamay Noirs. Lailey Vineyard has been a Chardonnay and Pinot producer since day one, but they are becoming known for their Syrah. Coyote’s Run is playing the “different soil” game with as many of their varieties as they can (ie: Black Paw / Red Paw) … and let’s not forget the countless Niagara and PEC producers who have staked their farm on Pinot Noir and Chardonnay. Malivoire started off as a Pinot and Chardonnay house but today their flag bearing wine is Gamay Noir – making three different versions; they found a small niche that was void of quality players doing it well and filled the gap. A few of Niagara’s newest wineries are following the specialization model: Westcott, 16 Mile Cellar, Bachelder (Pinot Noir / Chardonnay); Domaine Queylus (Pinot Noir); Two Sisters (Bordeaux Reds); KEW Vineyards (Sparkling) - these wineries are making other things, but where they are trying to establish a reputation with a “calling card” wine or wines. That’s all fine and dandy for a new winery, but what about those wineries that are established, what can they do to bolster a reputation that may be of the scattershot approach? Find a hook: be it small lot, single vineyard, vineyard designated, clonal difference … find your hook into the market, something that makes you special, different, unique. Being growers for 50 years doesn’t cut it, but having the oldest Chardonnay in Niagara might. The Vineland-Meunier mentioned above is a good example of finding a niche, and Malivoire has done a masterful job of putting themselves consistently above the pack when it comes to Gamay (sorry 13th Street). One winery that took this bull by the horns, pulling off a complete transformation is Rockway Vineyards. They took a program loaded with shabby wines that were, at best, barely drinkable and today have reformed their program, ushering in small lot, limited edition, and specialty block wines that really show something special; sure they still have their share of schlock, but if you’re a serious wine lover they now have something for you too. Sure it’ll take time for the word to get out, but once it does it’ll be one of the major transformations in Niagara in quite some time ... as long as they have the fortitude to stay the path. 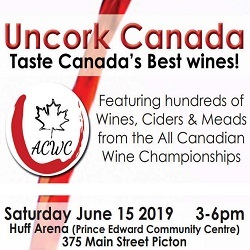 In the cacophony of wineries that are crowding and crowing to get their message out Ontario wineries have to learn to make a different noise to lure the already saturated Ontario wine consumer to their door. Making a different noise isn’t always easy, but it does bring attention to oneself. 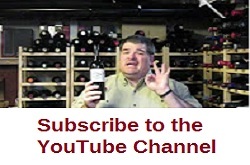 Which of course leads us to our next dilemma – how to get more people to consume Ontario wine. That’s another piece of the pie which we’ll consume next time. County Character: Our Sparkling Personality … put on by the Ontario Wine Society - Prince Edward County Chapter. Saturday, 18 April 2015 from 7:00 PM to 9:00 PM – details can be found here. 5th annual Niagara Food & Wine Expo “serves up a world of flavour” May 1-3 at the Scotiabank Convention Centre in Niagara Falls, Ontario. For more information on the Niagara Food & Wine Expo, please visit NiagaraFoodandWine.ca.